Over recent years Google and Facebook have become targets in a campaign questioning whether such successful international companies are paying their “fair share” of tax in the countries in which they operate. During last year’s APEC Leaders’ meeting in Peru, then New Zealand Prime Minister John Key joined the debate, telling the conference’s keynote speaker, Facebook founder Mark Zuckerberg, that the company had a “PR issue”, and that they needed to “demonstrate to the world that they pay their fair share of tax in every country that they operate”. Facebook, which opened a small office in Auckland in 2011, is reported to have paid $43,000 tax in New Zealand last year, while Google, which has almost no operations in this country and bills local customers for advertising services from Singapore, paid just over $233,000 in tax. Apple is another global company that has come in for criticism. As the largest company on the United States stock exchange and worth almost NZ$800 billion, it is now facing sanctions imposed by the European Commission for the crime of taking lawful advantage of favourable tax laws introduced decades ago by the Irish Government to attract overseas companies. Both Apple and the Irish Government are appealing against the ruling. However, if the Prime Minister was genuine about the need for companies to pay their ‘fair share’ of tax in New Zealand, shouldn’t he have already closed the loophole that is being used by some of the country’s biggest commercial operators, to avoid paying tax? The loophole involves ‘for-profit’ commercial businesses that register as charities, yet use only a fraction of their ‘tax free’ income on their ‘charitable purpose’. A number of commercial charities are household names. These include the cereal giant Sanitarium, Mission Estate Wines, and iwi corporations – including the Ngai Tahu Charitable Group, which operates the bus company, Go Bus, the tourist attraction Shotover Jet, and more than 30 other commercial businesses. Perhaps those New Zealanders who target Facebook and Google for criticism should look closer to home and focus on those large commercial charities running for-profit businesses that do not pay their ‘fair share’ of tax. Without a doubt, charities play an important role in society. Charity is also very big business. 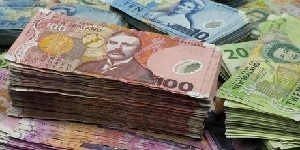 There are over 27,000 registered charities in New Zealand, managing an asset base of over $40 billion. Their annual income is estimated to be over $15 billion, including $6 billion of government grants, and almost $3 billion of public donations. Tax rebates on donations cost the Government around $260 million a year, while the tax revenue that the Government is missing out on is estimated to be in the region of $1.5 billion. Local councils miss out too, as many charities are exempt from rates, despite using local services. At the present time there is no cap on charitable giving – people and companies can claim rebates and deductions for charitable donations up to the level of their annual net income. Essentially this means that for-profit businesses that register as charities are tax free, with little oversight as to whether their profits are used for charitable purposes. Successive governments have looked into tightening up these laws. Back in 1966, a Holyoake Government review of tax laws, including those relating to the trading activities of charitable operations, concluded that “incomes derived from activities of a commercial nature should be included in the tax base”. In 1987, Roger Douglas, then Minister of Finance in David Lange’s Labour Government, proposed a number of law changes to prevent tax avoidance by charities: “No charity receiving donations would have to pay tax on any aspect of that operation, but a charity that was involved in commercial business to raise money would be treated like any other business. It would pay tax on its profits, but its legitimate expenses would be deductible”. Again, those changes were never adopted. In 2001, Michael Cullen, then Minister of Finance in Helen Clark’s Labour Government, recommended taxing the trading operations of charities: “Make trading operations owned by charities subject to income tax in the same way as other businesses, but with an unlimited deduction for distributions made for the relevant charitable purposes”. These suggestions were also ignored, even though Labour was undertaking a complete overhaul of charity law. Until that time, the charities sector was largely governed by Inland Revenue, through its administration of the charitable income tax exemptions. This changed in 2005, when Labour’s Charities Act established the Charities Commission as an autonomous Crown entity to regulate the sector. Their reforms also allowed Maori tribal groups to register as charities for the first time. Until then, any group wanting to register as a charity not only had to have a legitimate charitable purpose – involving the relief of poverty, the advancement of education or religion, or any other matter beneficial to the community – but they also had to meet a public benefit test, to ensure charitable benefits flow into the wider community and not to private individuals and their relatives. Since Maori tribal organisations are based on the blood ties of relatives, they failed the public benefit test and could not gain charitable status. However, section 5 (2) of Labour’s new law introduced an exemption from the blood tie disqualification for those involved in the administration and management of a marae. This law change paved the way for some of the country’s biggest and richest corporations, to register as charities and avoid paying tax. In essence, this means that many of the contributors to the $40 billion combined wealth of the Maori economy, such as Ngai Tahu, are tax free. And while many of these iwi leaders have, over the years, condemned the Government for the fact that some of their tribal members are over-represented in the wrong sort of statistics, they have nevertheless organised their own affairs to avoid paying the tax that funds social services for those in need. During National’s first term in Government, they announced a ‘first principles review’ of the Charities Act. Some thought it would provide an opportunity to address this issue. However, as a result of an overhaul of the public service, the Charities Commission was disestablished, with its functions transferred to the Department of Internal Affairs – to save an estimated $2 million over 4 years – and the review was cancelled. A number of law changes have been made over the years to tighten up the reporting standards for charities – including just last week, when a new Charities Amendment Bill was passed by Parliament to prevent convicted tax fraudsters from becoming officers of a charity, and to introduce a 20-day time limit for responding to information requests from the Charities Service – but the favourable tax treatment of for-profit commercial charities has not been changed. While this issue remains unresolved in New Zealand, other countries, such as the UK, have confronted it. There, charities are classified as ‘trading’ if they sell goods or services to customers. But if that trading is part of the charity’s primary purpose, such as an independent school charging students tuition fees – or if it helps the charity’s primary purpose, such as a museum running a cafe for visitors – no tax needs to be paid on the profits. However, if the trading is unrelated to the primary purpose, profits are taxed. “The common image of charities is of benevolent institutions doing good in a quiet way for generally people or animals who need help. The reality is not quite like that. Today in Britain charities are big business and often pay big salaries. It was recently reported that the Chief Executive of the Scottish society for the Prevention of Cruelty to Animals, with bonuses, raked in £216,000 and will collect around £100,000 as an exit package. In comparison the Scottish first Minister Nicola Sturgeon gets £135,000 and Prime Minister Theresa May £142,000. Of course, scandals hit charities in New Zealand too, but the biggest charity scandal remains the fact that commercial charities are not paying any tax, let alone their ‘fair share’. That means that the only monitoring on whether the billions of dollars of business income generated by commercial charities is genuinely being used for their specified charitable purpose, is that which is carried out by the Charities Service, which is poorly resourced to investigate such abuse. The most sensible way forward would be to enact Michael Cullen’s suggestion, to tax for-profit businesses owned by charities in the same way that private firms are taxed, while allowing unlimited deductions on distributions made to their relevant charities. This policy change would remove any unfair tax advantage that charity-owned businesses have over private firms, and by taxing retained earnings, there would be an increased incentive for businesses to invest more in their charitable purpose. In addition, the Charities Services clearly needs a stronger monitoring regime to reassure the public that distributed funds are being used in a genuine way. Essentially, Michael Cullen’s policy would mean that any profits generated by commercial charities that were used for their charitable purpose would be tax free, while all other income would be taxed at their normal business rate. In reality, the present system represents a gross failure of policy and oversight by the Government. It also demonstrates a lack of political courage, as politicians clearly fear a backlash – particularly from iwi leaders – if they make changes in this area. However, the public response is likely to be positive, since the changes would only disadvantage those charities that aren’t applying the majority of their profits to their charitable purpose. In making such changes, the Government would be doing the right thing by ensuring that anyone who is using charities for tax avoidance pay their ‘fair share’. Should for-profit commercial charities pay tax on income that is not directly used for their charitable purposes? Past Governments, & particularly the one we have now, have made Iwi elite very rich. Should we expect a return on money gifted any time soon ; DON’T BE RIDICULOUS !. As for the likes of Sanitarium etc, that should have been sorted in Holyoak’s day, over 50 years ago. A.G.R.